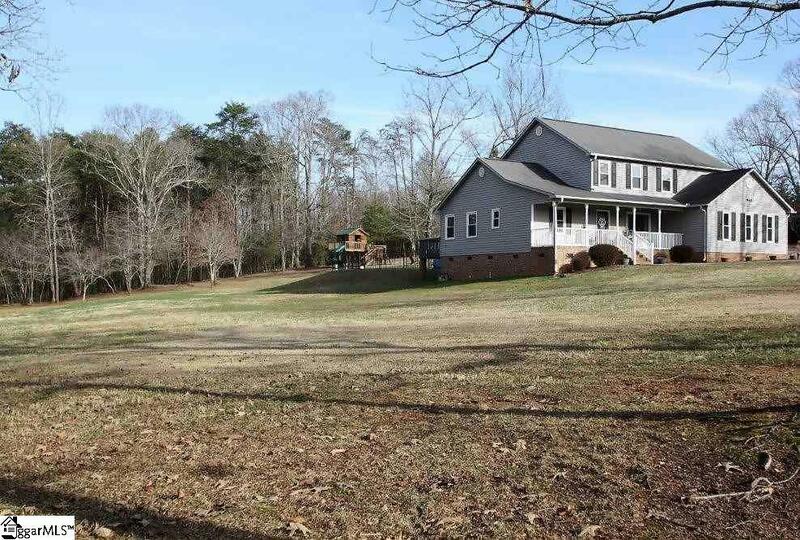 GORGEOUS HOME with ACREAGE! 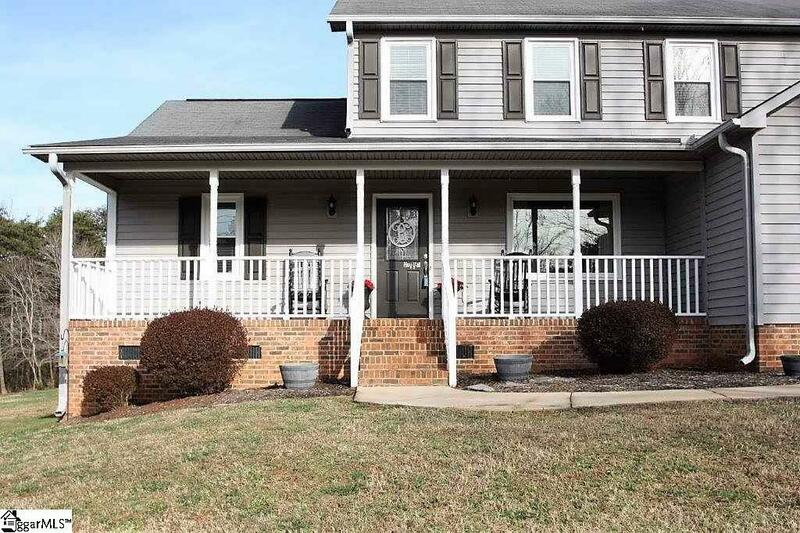 This two story home is located in Lyman district 5 schools. Walking in you'll enter the foyer area where you can show guest into a cozy family room with a picture window(All NEW double pane windows 2015) and hardwood floors. The breakfast area is perfect for morning coffee and early morning beginnings. Eat in kitchen has ceramic tile flooring, granite counter tops, center island with smooth cook top, stainless steel appliances, built in oven and built in microwave. Don't worry about the cost of buying a refrigerator, it stays. There are lots of cabinets for storage with pull out shelving. Just around the corner is a guest half bath. The master bedroom features french doors to walk out on the back deck, walk in closet and a beautiful white barn door entering the master bath. You can soak in the jetted tub or opt to use the separate shower. Upstairs there are 5 bedrooms that all have spacious closets. Current owners are using one of the rooms as a play room. Laundry room has a work space area to use to fold and hang clothes. The upstairs bathroom features ceramic tile and double sinks. Back downstairs walk out on the large back deck which overlooks the inground pool(New Pentair energy effecient system 2017, newer pool cover and metal fence 2015). 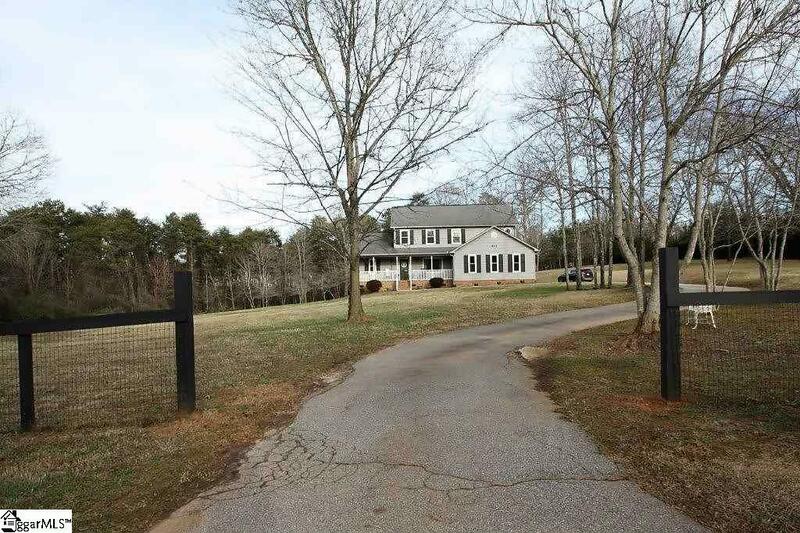 The kids and/or fido will have plenty of room to play in this 2.77 acre partially fenced yard! Relax around the pool while the kids enjoy the custom built playset. Outside is simply beautiful! Bring the family!! They will love it! You have plenty of room to park your SUV and have a workbench in the freshly painted garage! Enjoy a picnic and boat ramp at the Lyman Lake Lodge just minutes away. Easy commute to Greer, Greenville or Spartanburg. I wouldn't wait if I were you come check out this rare find! 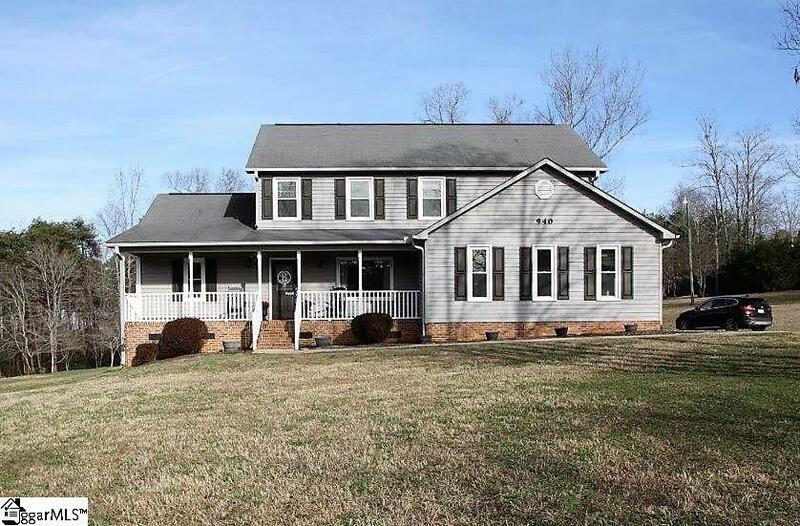 Listing provided courtesy of Julie Head of Expert Real Estate Team.